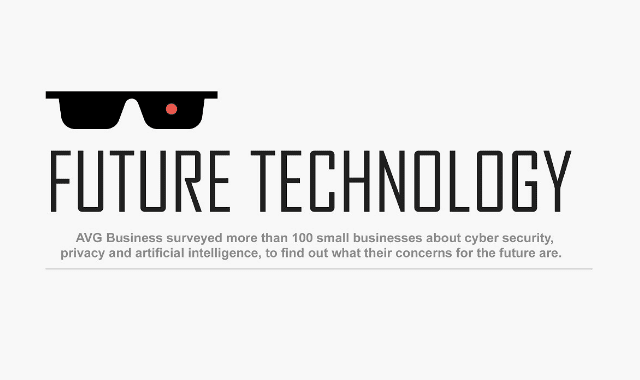 The Future Of Technology: What Are SMBs' Worried About? #Infographic ~ Visualistan '+g+"
With cyber-security attacks including WannaCry, NotPetya, and Dead Rabbit, affecting businesses across the globe, it’s clear that 2017 has experienced its fair share of high-profile data breaches. From BYOD and cloud computing to artificial intelligence, SMBs are keen to utilize these new technologies in order to grow their businesses. But with new technology, comes new threats. So, are SMBs most concerned about data breaches, rogue artificial intelligence or the use of genetic screening for employees?